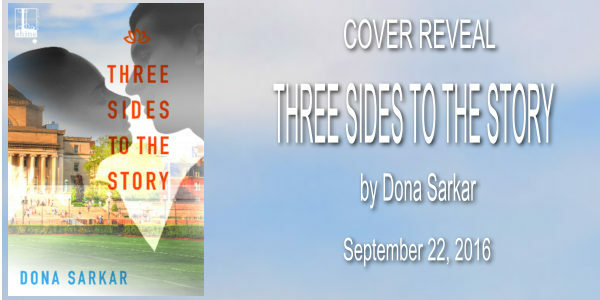 Dog Eared Publicity: Cover Reveal: Three Sides to the Story by Dona Sarkar - Coming September 22! Cover Reveal: Three Sides to the Story by Dona Sarkar - Coming September 22! There are never just two people in a relationship. . .
From the author of Scattered Ashes comes a moving, insightful novel about the decisions, large and small, that draw couples, families, and cultures closer together—or tears them apart. . . Teaching assistant Quinn Montgomery was satisfied with a secret romance. After all, as a professor, Shalin Roy was technically her boss at the university in Ann Arbor. Both their careers would be at risk if their relationship was exposed. Not only that, Quinn is a mentor to Shalin’s shy older daughter, Kashmira, who looks up to her like a big sister. 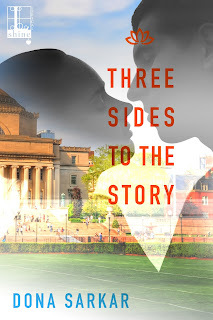 So when Quinn’s graduate studies end, she is unprepared for Shalin’s ultimatum: marry him, or it’s over. Born in Afghanistan, Shalin long ago lost the wife who’d been arranged for him. He never dreamed he’d commit to another woman. But his bright, beautiful student has captured his heart. Now they should make it official. To his two daughters, he thinks, Quinn is already like family. So he is unprepared for the young women’s fierce disapproval—or the challenges that follow. 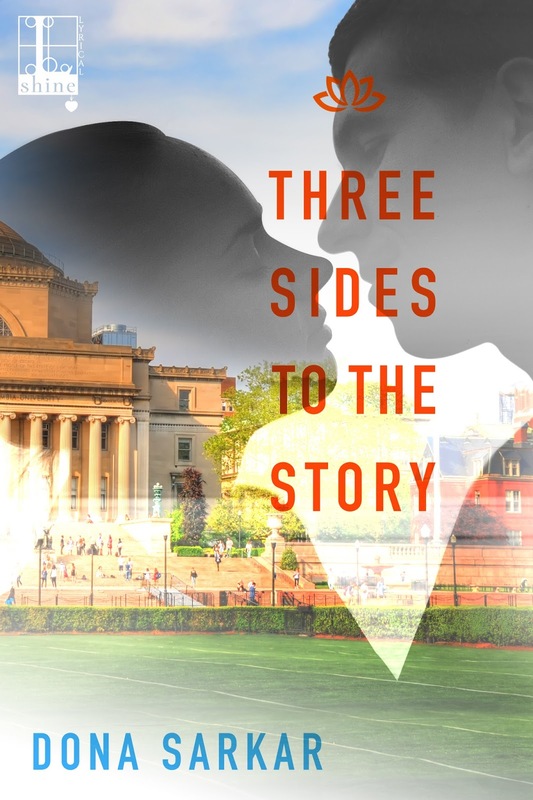 Soon, a romance that seemed perfect in private will be severely tested by the complex, competing needs and loyalties of three very different people . . .
Dona Sarkar wishes she’d been born as a cat so she could have had 9 lives. Since that didn’t work out, she decided to live 9 lives in this one. She spends her days making holograms at Microsoft, celebrates diversity in STEM fields as a fashion blogger at Fibonacci Sequins and is launching her first fashion line called Prima Dona Style this year. She is also the published author of three novels and one non-fiction book. Dona lives in Seattle with her really patient husband and her muse, a very bossy tabby cat named Ash. She can be reached at: donasarkar.com; twitter.com/donasarkar; and facebook.com/donasarkarbooks. Somewhere to Begin by Mika Jolie - Available Now!